Angel Delight is making a comeback in the UK, half a century after the whipped dessert first hit the shelves. Sales of the brand jumped 30% over the six months to the end of September, according to its maker, Premier Foods, as consumers were tempted back by a new ready-to-eat version of the retro milky dessert, first launched in 1967 by Birds. 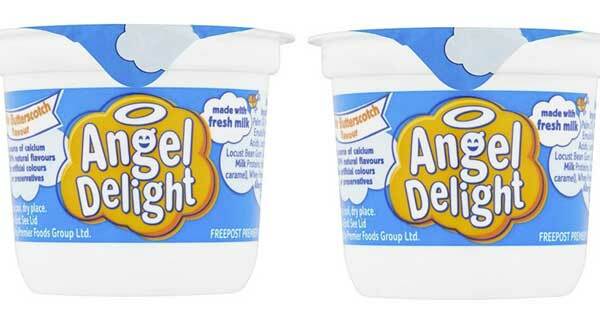 “Angel Delight, one of the group’s smaller and historically less heavily invested brands, grew by 30% in the period, benefiting from the launch of convenient ready-to-eat pots,” the company said. In its traditional form, which is still available, consumers whisk milk into the Angel Delight powder, which comes in strawberry, chocolate, banana and butterscotch flavours. The range includes “no added sugar” alternatives in the same flavours. The resurgence of Angel Delight reflected a broader trend in Premier’s first-half results, as consumers opted for products that were designed to be eaten “on the go”. “Batchelors is now the fastest-growing major brand in our portfolio following the launch this year of convenient pot format products such as Super Noodle pots,” said the Premier Foods chief executive, Gavin Darby. Molly Johnson-Jones, senior food and grocery analyst at Global Data, said Premier Foods was tapping into a growing consumer trend of “on the go” snacking with an established brand. “There has been huge growth in food on the go, largely because of a consumer base that shops at convenience stores – time-poor millennials who might pop in for lunch and buy a few things,” she said. Other brands owned by the group include Ambrosia, Mr Kipling and Oxo. Premier Foods’ sales rose 1.5% over the six months to £353.3m, while pre-tax losses narrowed to £1.2m from £8.7m over the same period a year earlier.